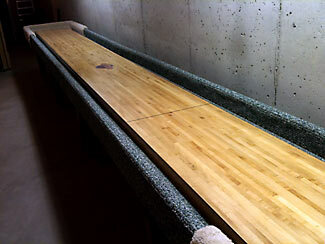 Here are some pictures of Ed Gard's American Shuffleboard Table refinishing project. 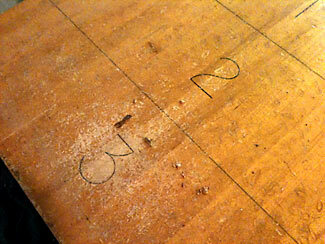 Attached are some pictures of the before and after of my shuffleboard table. 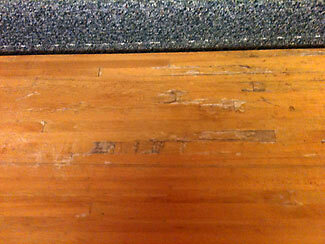 I stripped the table with all purpose stripper and sanded it down to the raw wood. 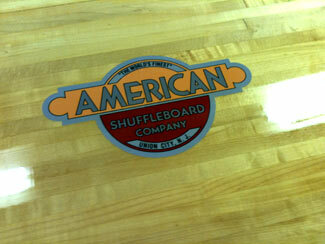 I had a vinyl company make the numbers and the American emblem based on an old picture found on the internet. 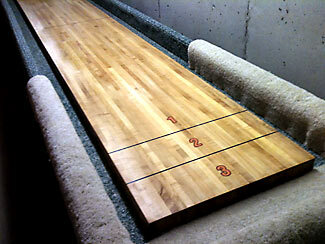 I applied seven coats of Minwax high build poly and with a lot of sanding and buffing. 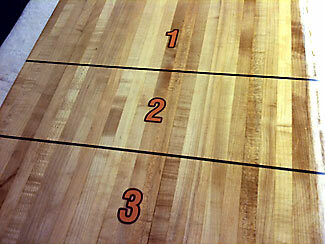 The table should be set for years to come. Thanks for your help!